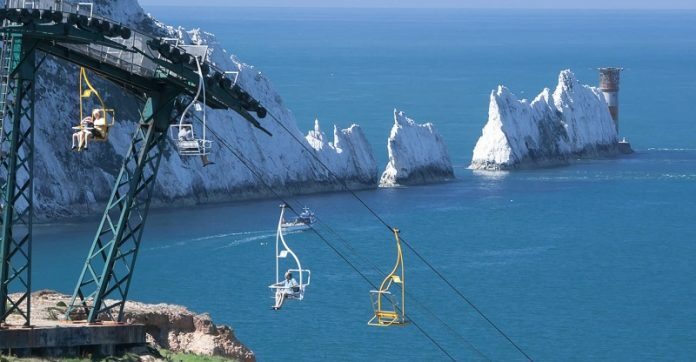 On the Isle of Wight close to the Alum Bay lies three chalks each rising at least 30m high. Many have called it Seven Wonders of the World while others see it as a natural phenomenon that worth celebrating. There are so many reasons to fall in love with this beautiful work of nature and here are 10 of those reasons. There are three rocks in the Isle of Wight collectively called The Needles. Interestingly, the rocks got their name from a fourth rock, which is a needle-shaped pillar. Lot’s wife, as it was called, collapsed in a 1764 storm. Though, the name has now stuck. Click the next ARROW to see the next photo!